Vincent Carrier completed his college education diploma (DEC) in music at Cégep de Ste-Foy with René Joly. He pursued his studies at Laval University where he obtained a bachelor's degree in percussion-interpretation and a second bachelor's degree in musical education. During the following years, he studied Afro-Cuban percussion with Alain Labrosse and Brazilian percussion with Michel Dupré.  Since 2003, he has developed his knowledge and skills of African percussion with great masters from Guinea: Mamady Keïta, Famoudou Konaté, and Nansady Keïta. He's presently studying framedrums with Patrick Graham. During many years, Vincent worked as a specialist teacher in various Quebec City high schools. At college level, he teaches percussion at Campus Notre-Dame de Foy since 1995 and at Cégep de Ste-Foy since 1999. 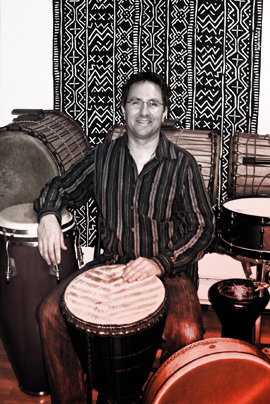 He created the "Studio Percussions du Monde" in 2011, where he uses his educational expertise in teaching how to play African, Afro-Cuban and classical percussion instruments.